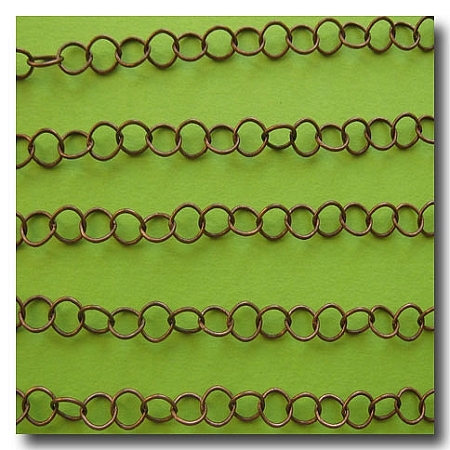 ANTIQUE COPPER CONTEMPORARY ROUND CURB CHAIN. FINISH: Antique copper. BASE: Brass base. STYLE: Contemporary curb. Closed links. WEIGHT: Light/Medium. 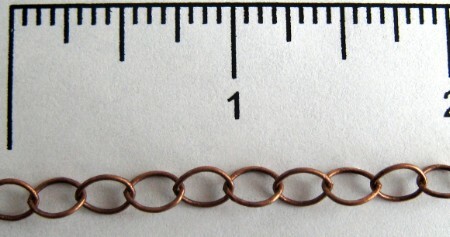 DIMENSIONS: 5mm. Also AVAILABLE in: Gold Plate 1-174, Silver Plate 1-161, Brushed Silver Plate 1-280, Gunmetal 1-177 and Antique Brass 1-159.